Maldron Hotels is delighted to provide both financial and non-financial support to CMRF Crumlin, one of Ireland’s biggest and most important charities. CMRF Crumlin is the principal fundraising body for Our Lady’s Children’s Hospital Crumlin as well as the National Children’s Research Centre. Our Lady’s mission is to constantly improve the health and wellbeing of children and adolescents in a safe environment, driven by quality healthcare and supported by excellence in knowledge, education and research. “We are so very grateful to all the staff, suppliers and customers of Maldron Hotels for supporting CMRF Crumlin. Thanks to your enthusiastic fundraising efforts, we can continue to fund vital projects at Our Lady’s Children’s Hospital Crumlin and the National Children’s Research Centre.” Sarah O’Suilleabhain, Head of Corporate Partnerships at CMRF. “We in Dalata are delighted to support the great work that Crumlin Hospital does for the children of Ireland. 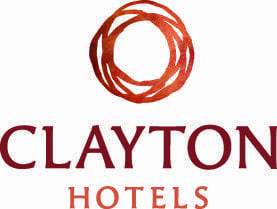 We admire the great work done by the staff at Crumlin Hospital and look forward to raising funds to help them treat sick children from around the country.” Dermot Crowley, Deputy CEO of Dalata Hotel Group (partner of Maldron Hotels).